Twenty players earned their 2016 LPGA Tour card this past weekend at the Final Stage of LPGA Qualifying Tournament. The tournament was held at LPGA International (on the Jones and Hills Courses) in Daytona Beach, Florida. Three of the twenty players who earned their cards are IJGT Alumni, including Simin Feng, who claimed medalist honors by winning the event. The two other IJGT Alumni to earn their LPGA Tour cards were Maude-Aimee LeBlanc (T4) and Cheyenne Woods (T13). Simin Feng shot 18-under for the tournament to win by an impressive 7 stokes. She was the wire-to-wire winner of the event. Her score is tied for the third lowest since 2004, when the LPGA went to a 5 year Qualifying tournament. Two former International Junior Golf Tour (IJGT) members and IJGA students, Yi Chen (Babe) Liu and Marta Silva, have advanced past Stage II of the LPGA Sectional Qualifying Tournament and into the Stage III Final Qualifying Tournament. After coming in eighth place during Stage I at the Mission Hills Country Club in Rancho Mirage, Calif., on Aug. 27-30, Liu was looking for another strong finish in the hopes of reaching the third and final round of the tournament, after which the top 40 players receive Tournament Division Membership. Liu, from Tao Yuan City, Taiwan, finished the event with a 70-70-80-74–294, a 6-over-par performance which landed her in an eleven-way tie for 80th place, just narrowly making the cut into the final round. While a member of the IJGT, Liu played in two notable events, gaining a victory at the IJGT Florida Swing at Innisbrook in Tampa, Fla., as well as the second-place finish at the IJGT College Classic at Duke University. Silva, from Santiago de Compostela, Spain, is a member of the Symetra Tour, which is the official developmental golf tour of the LPGA Tour. She had an impressive outing at the Stage II event, scoring a 72-71-71-74–288, an even-par performance which gave her a tied for 28th-place finish. 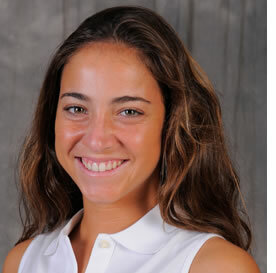 Silva was a member of the IJGT and later joined the University of Georgia Women’s Golf Team, where she graduated in 2012 with an outstanding collegiate resume, including being named the 2011 National Player of the Year and 2011 SEC Golfer of the Year. Stage III of the 2013 Qualifying Tournament will take place on Dec. 4-8, 2013 at the LPGA International Golf Course in Daytona Beach, Fla.
Minami Levonowich, also a former IJGT member and student of the IJGA, recently tied for seventh in the Diane Thomason Invitational, hosted by the University of Iowa in Iowa City from Oct. 12-13, 2013. Levonowich, a sophomore from Hilton Head Island, S.C., represented her University of Kansas Women’s Golf Team which placed second at the event out of 12 competing schools. Shooting a 76-76-75–227, Levonowich finished third on her team with an 11-over-par performance through three rounds. She started the tournament off strong, sinking two birdies in the first six holes to card a 2-under-par with three left to play on the front nine. Though she slowed down a bit on the back nine, Levonowich ended the day with a respectable 4-over-par 76, just four shots off the lead. After shooting 76 in Round 2, with two separate stretches of six straight pars, Levonowich entered the final round with another six pars in the first seven holes. She birdied out on No. 9 before finishing the day at 3-over-par 75. This score tied for her collegiate-best, which came in the final round of the Lady Jaguar Invitational while a member of the Kennesaw State Women’s Golf Team during the 2011-2012 season. While playing for the IJGT, she competed in four events during 2010-2011 season. Her resume included three top ten finishes, with a fifth place finish at the Palmetto Hall – Hilton Head Island, S.C. Event in Sep. 2010, and a tied for fourth place finish at the Sanctuary Golf Club at Cat Island event in Feb. 2011. Coming up next for Levonowich and the Kansas Jayhawks is the 2013 Palmetto Intercollegiate in Kiawah Island, S.C., on Oct. 27-28, 2013. HILTON HEAD ISLAND, S.C. – We are very proud to announce that two former IJGT members , Babe Liu and Moyu Sasaki, have made it past the LPGA Stage I Qualifying Tournament. The tournament, made up of three stages, features 18+ year-old female amateurs and professionals who are looking to qualify to be a part of the LPGA Tour. These golfers must have a handicap of 4.0 or less based on courses with an average length of 6,200 yards to be eligible to compete. Stage I of the tournament was held from Aug. 27-30 at the 6,442-yard, par 36-36–72 Dinah Shore and 6,406-yard, par 36-36–72 Palmer Courses at the Mission Hills Country Club in Rancho Mirage, Calif. The event had a maximum field of 288 players with a 72 hole stroke-play format with no cut. The Top 100 finishers move on to Stage II of the qualifying tournament. Yi Chen (Babe) Liu, from Tao Yuan City, Taiwan, had a spectacular four rounds at the event, posting a final 4-under-par 284 (73-70-67-74), which landed her a respectable eighth-place finish. While a student at the International Junior Golf Academy, Liu played in two notable events, gaining a victory at the IJGT Florida Swing at Innisbrook in Tampa, Fla., as well as the second-place finish at the IJGT College Classic at Duke University. Moyu Sasaki, a 2013 graduate from Tokyo, Japan, also played well and posted a final 9-over-par 297 (78-71-70-78), putting her tied for 79th on the leaderboard. 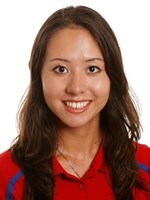 Sasaki enjoyed great success in her time on the IJGT. In 2011-2012 she was the IJGT Player of the Year earning four victories on the season. Sasaki played in 11 events on the IJGT during the 2012-2013 season, with two extraordinary victories at The Shootout at Colleton River Plantation, as well as the Oyster Reef Golf Club. She also had a second-place finish at the Shamrock Shootout at Palmetto Hall. We look forward to seeing Liu and Sasaki in the Stage II event on Oct. 8-11 at the Plantation Golf and Country Club in Venice, Fla. We wish them the best of luck!